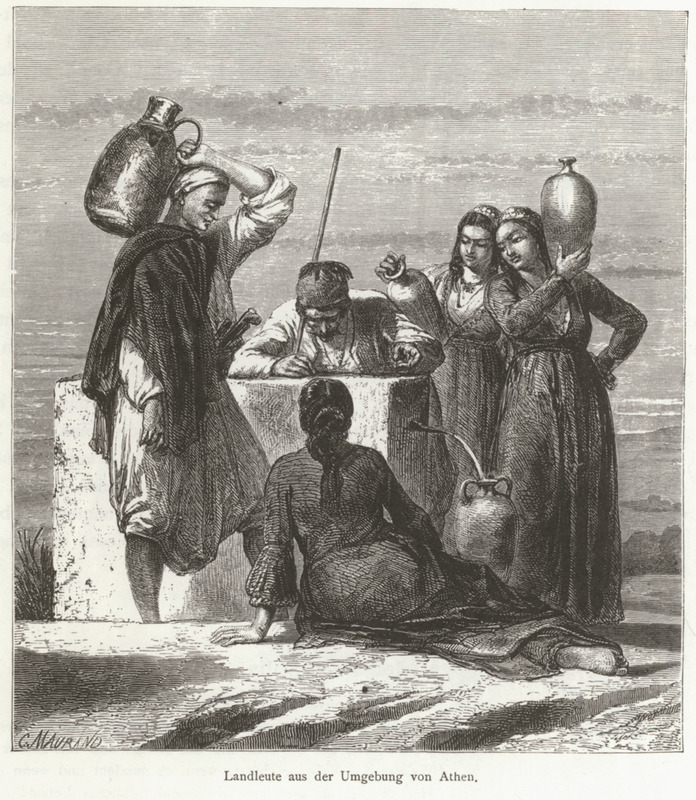 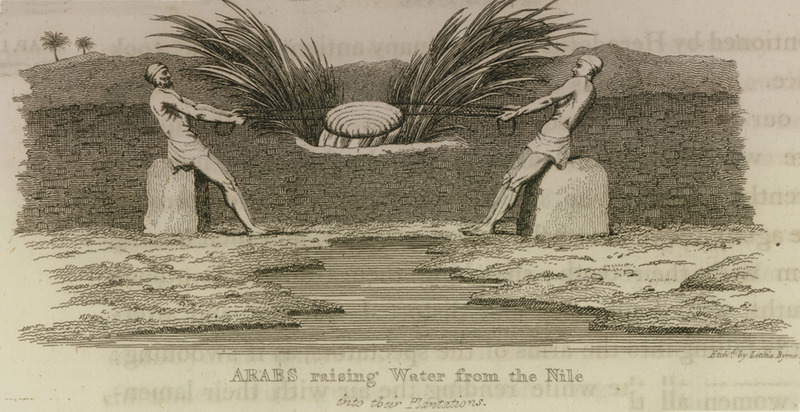 Peasant woman at the well. 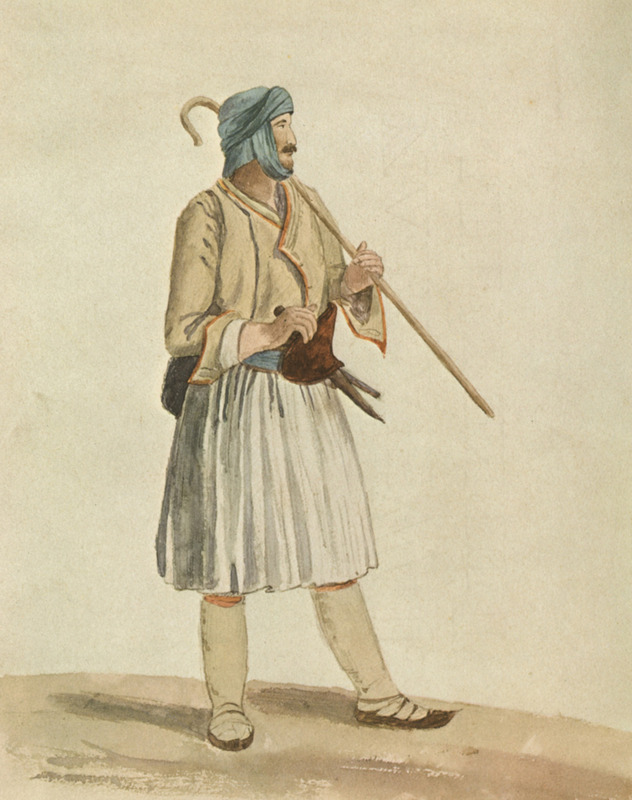 Peasants from the outskirts of Athens. 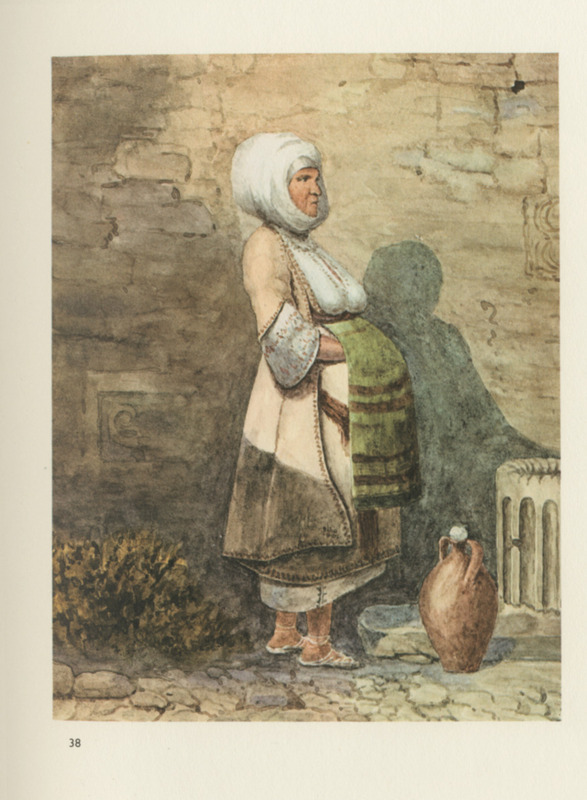 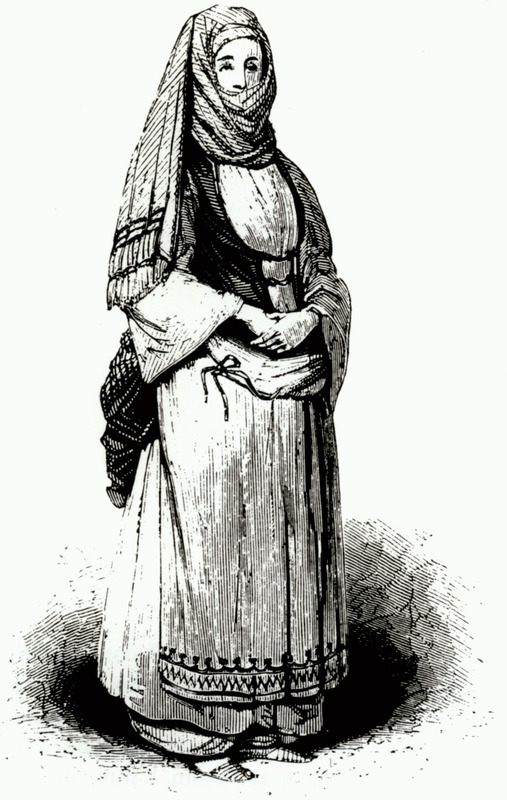 Peasant woman from Crete. 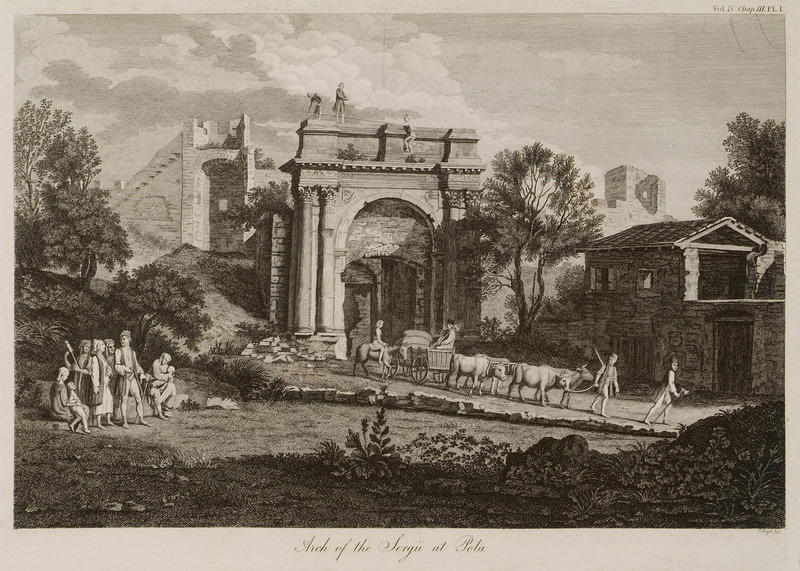 From Travels in Crete by Robert Pashley. 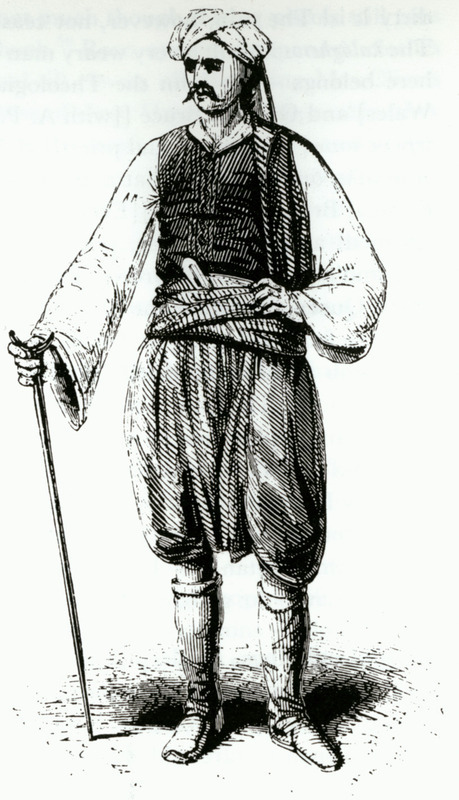 Peasant from Crete. 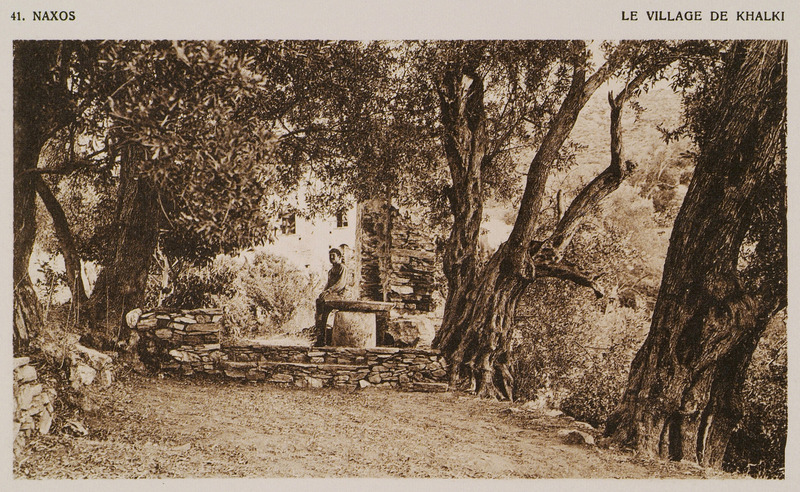 From Travels in Crete by Robert Pashley. 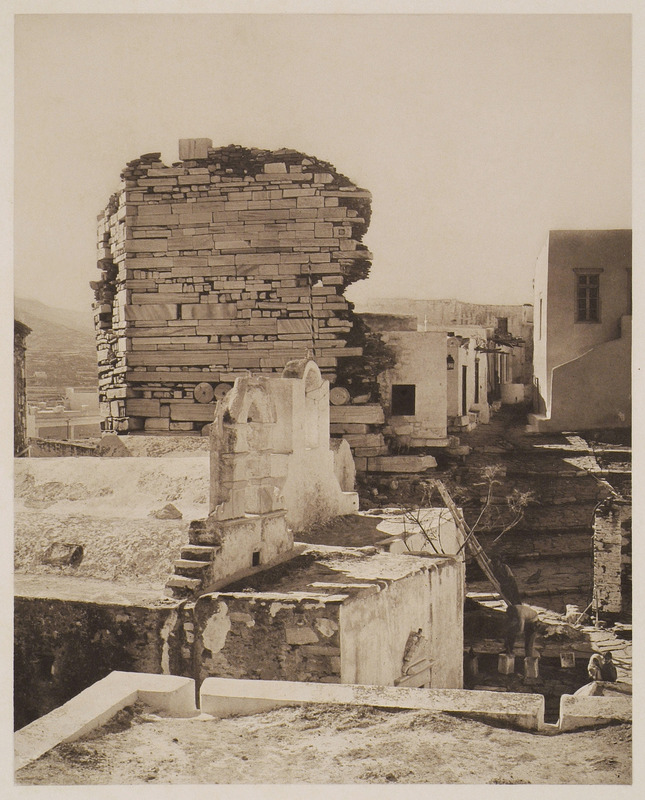 The village of Halki, Naxos. 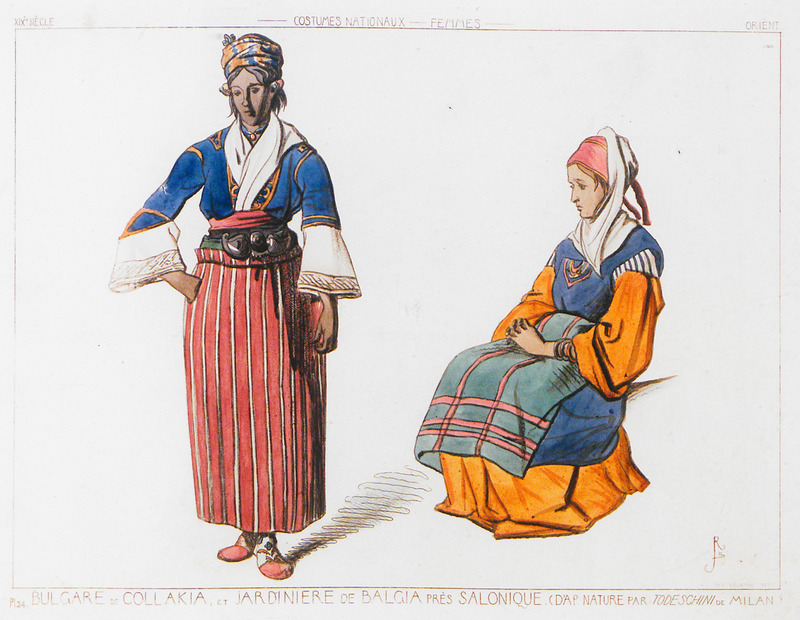 The costume farmers of the Venetian hinterland wear when they visit Venice for the Feast of the Ascension. 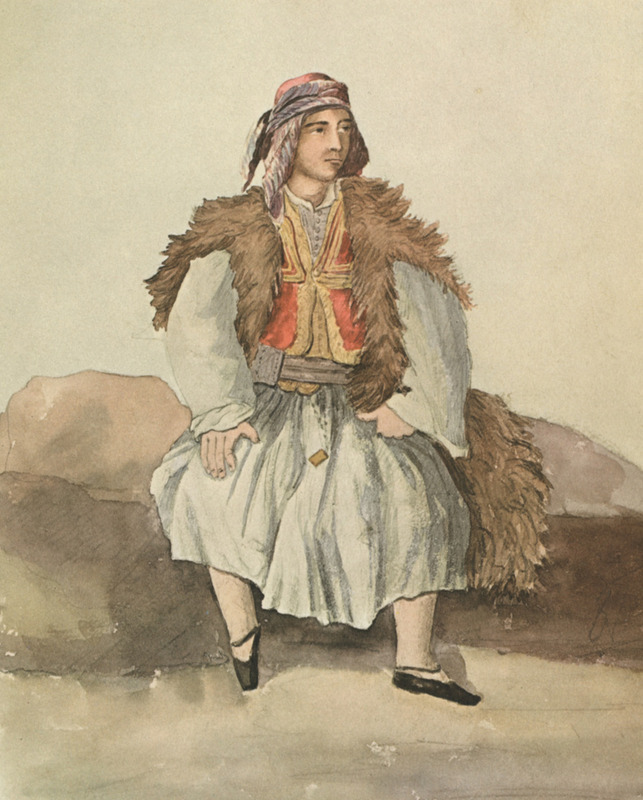 Young peasant in festive costume. 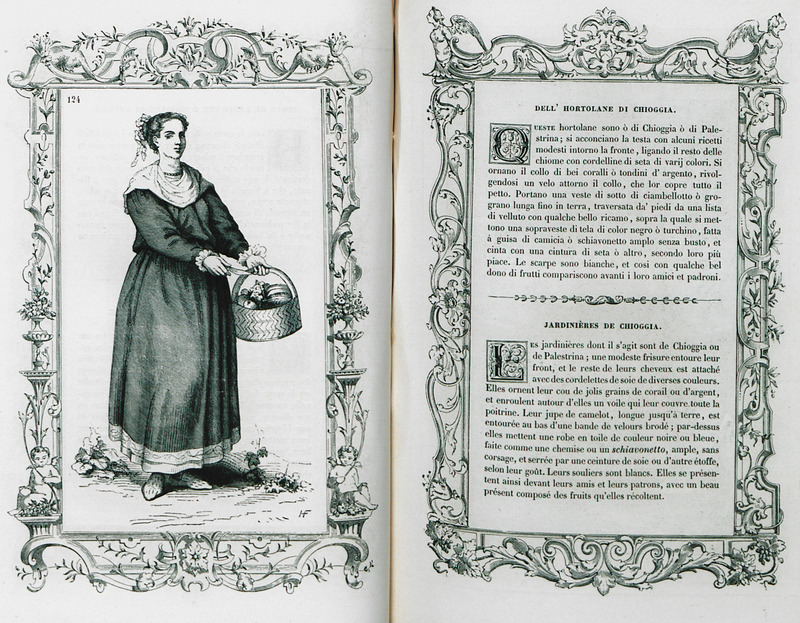 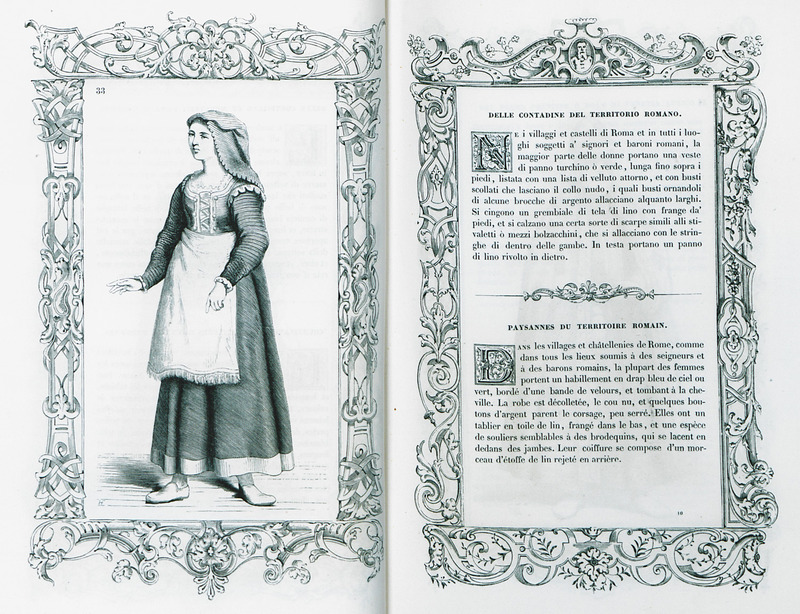 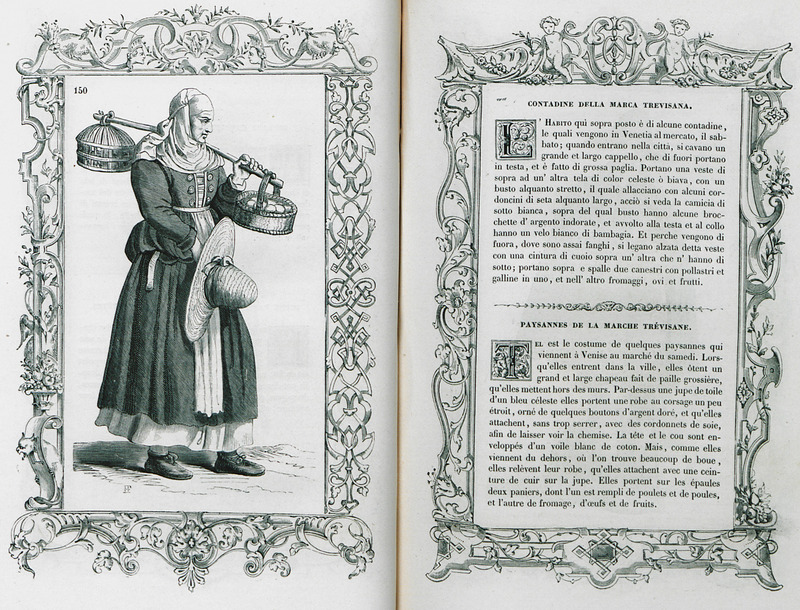 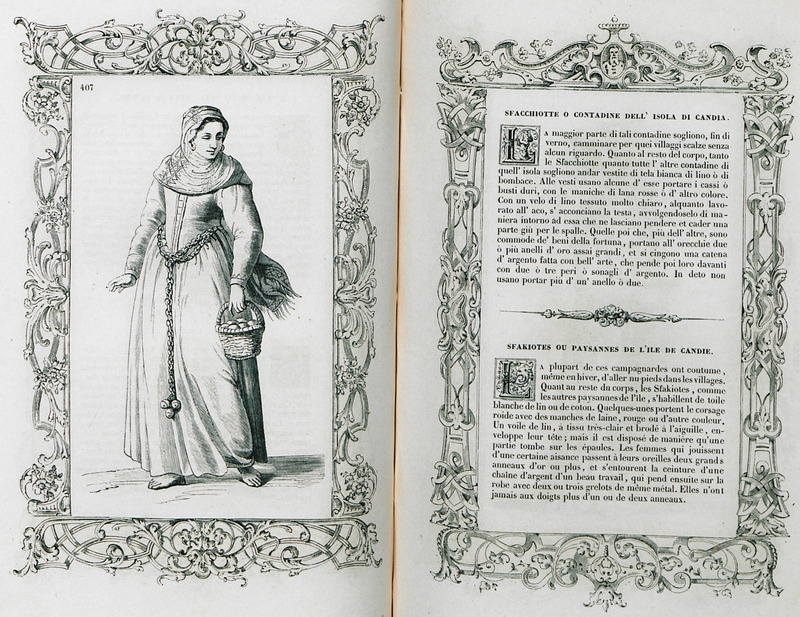 Peasant from Trevizo region who has come to Venice to sell her products on the market. 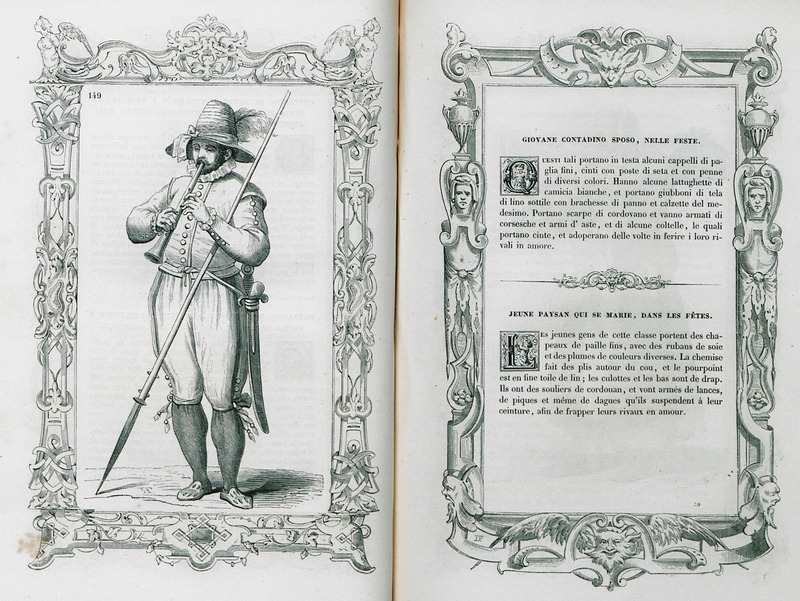 Farmer who comes to Venice at the end of October to sell his products. 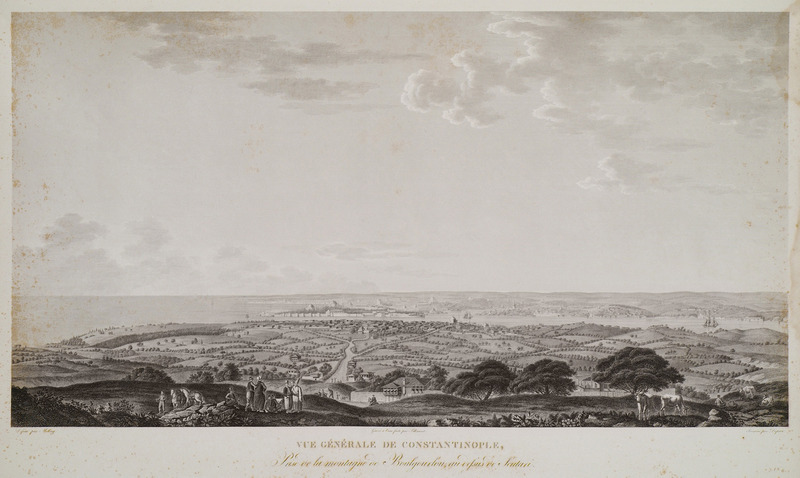 View of Istanbul from Bulgurlu hill at Üsküdar. 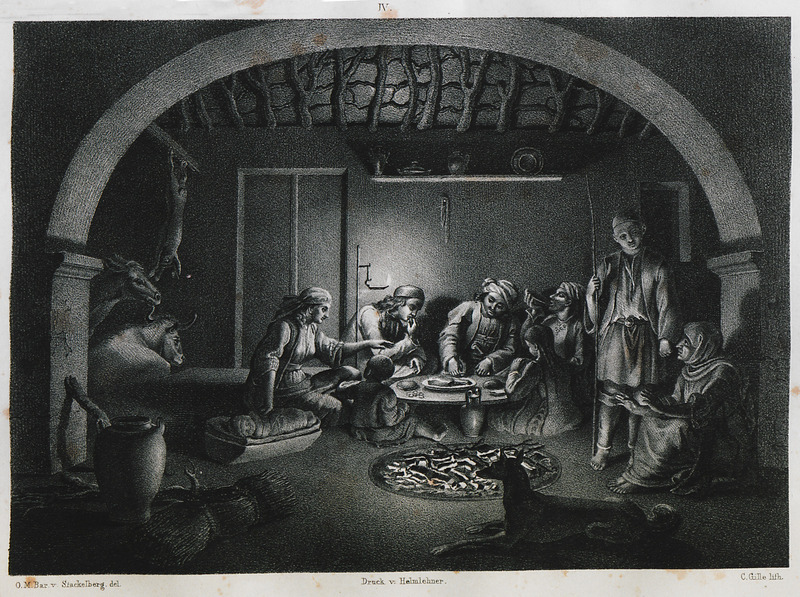 In the foreground two west European men, one of whom is most probably the author himself, are chatting with Ottoman men. 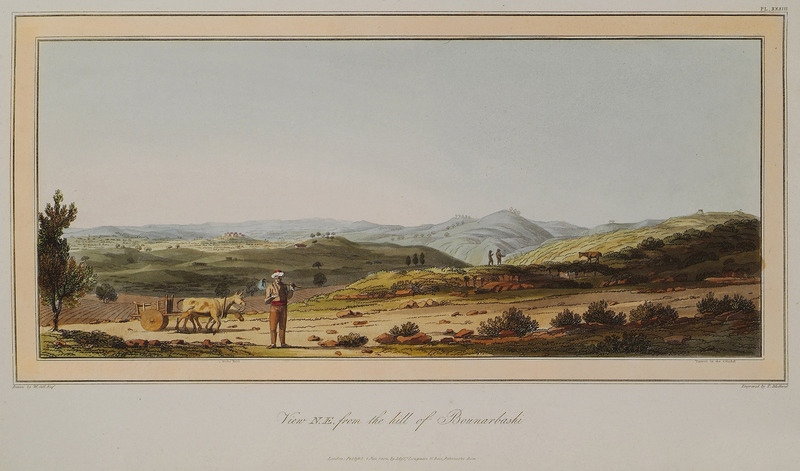 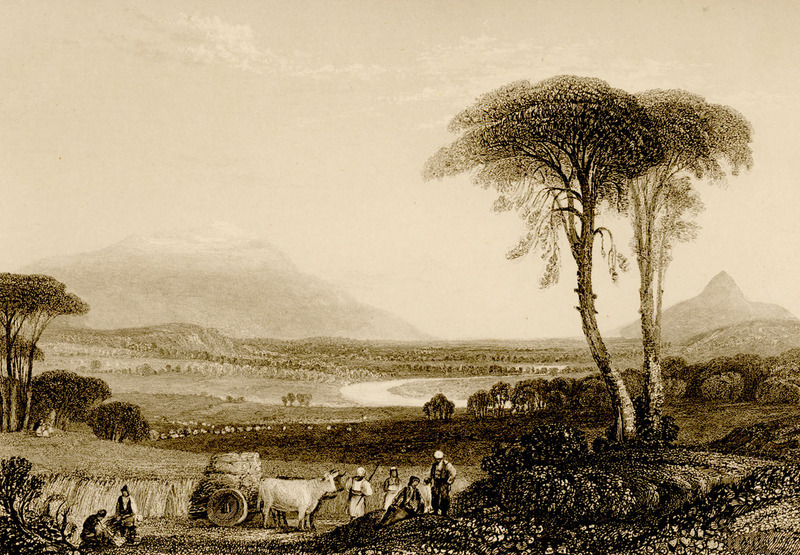 View of Bunarbaşı, village, erroneously identified in the nineteenth-century with Troy. 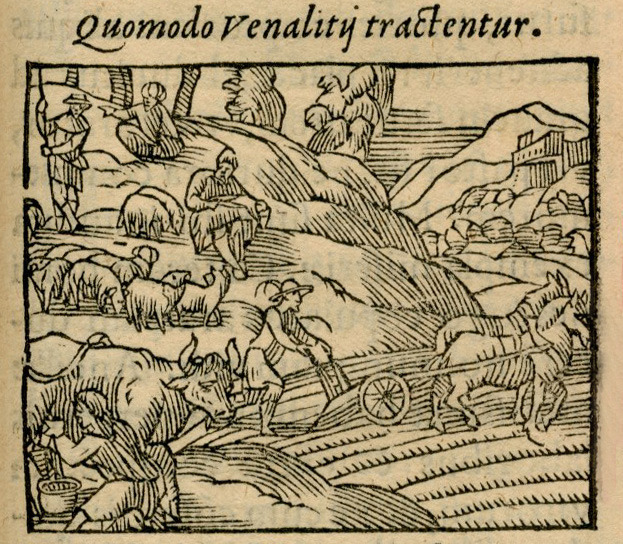 Ottomans supervising slaves, taken captive in the war, during agricultural work. 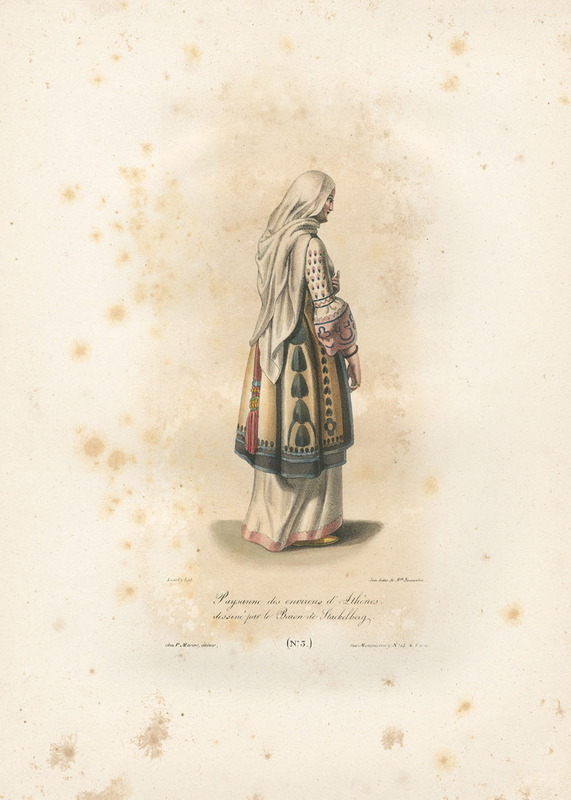 Bulgarian woman from Kolakia (Halastra). 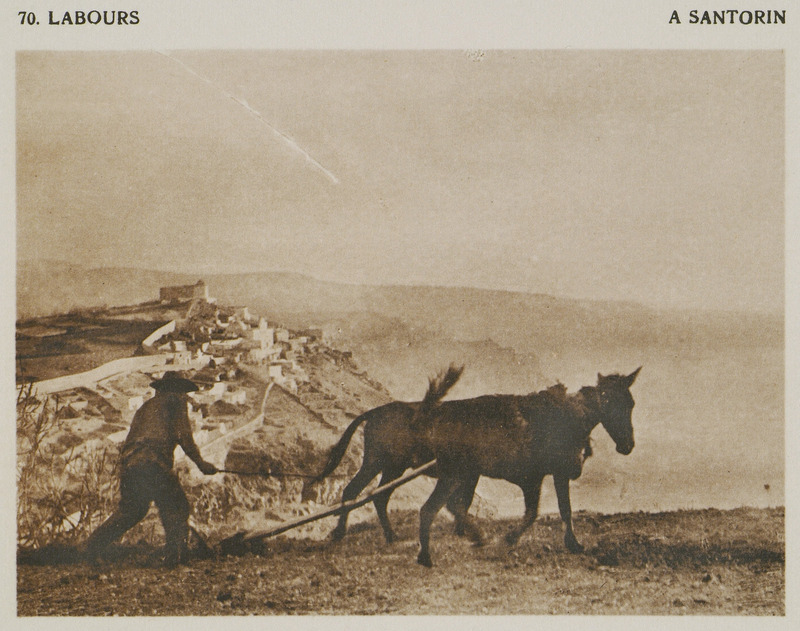 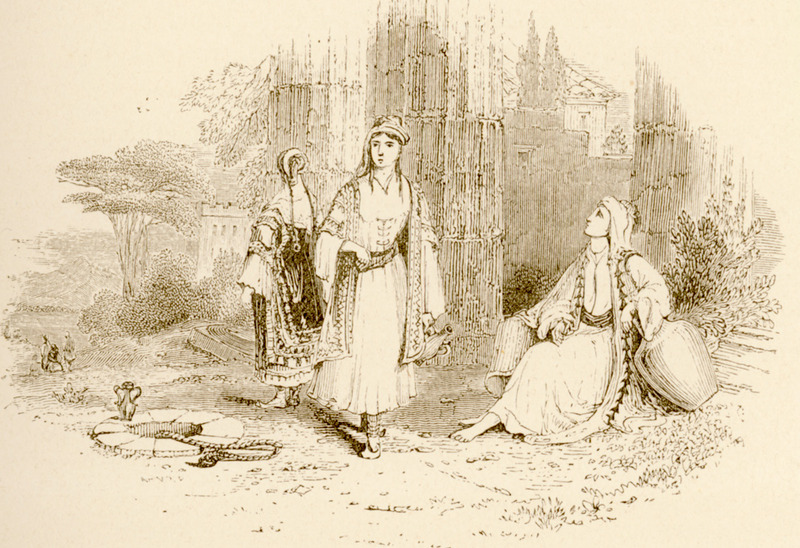 Peasant woman from Baltza (Melissochori) on the outskirts of Thessaloniki. 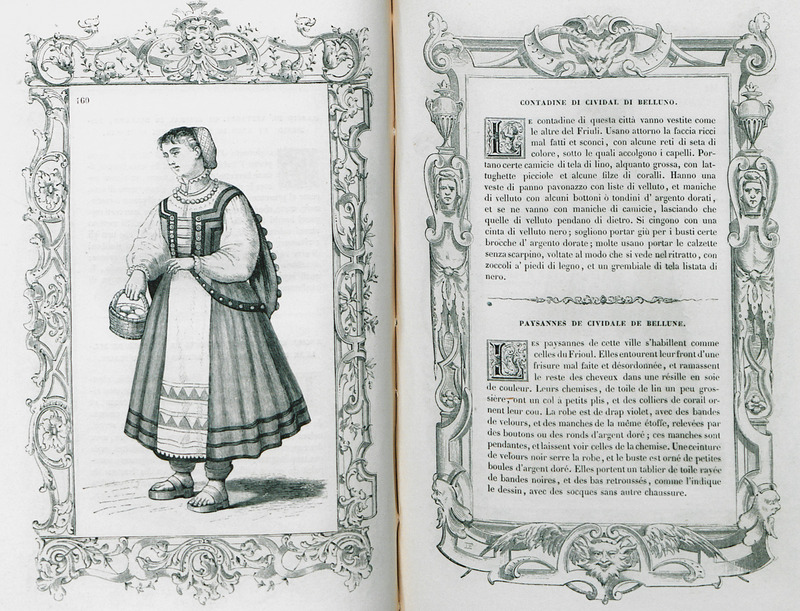 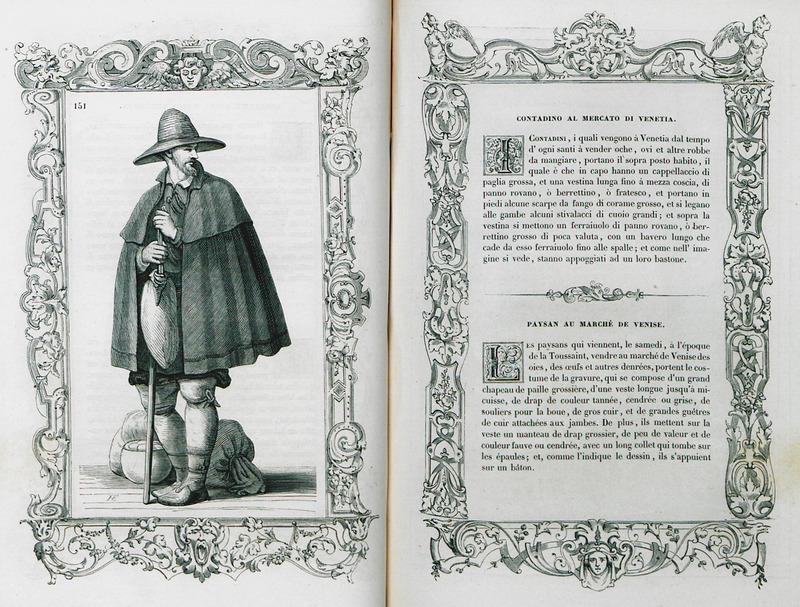 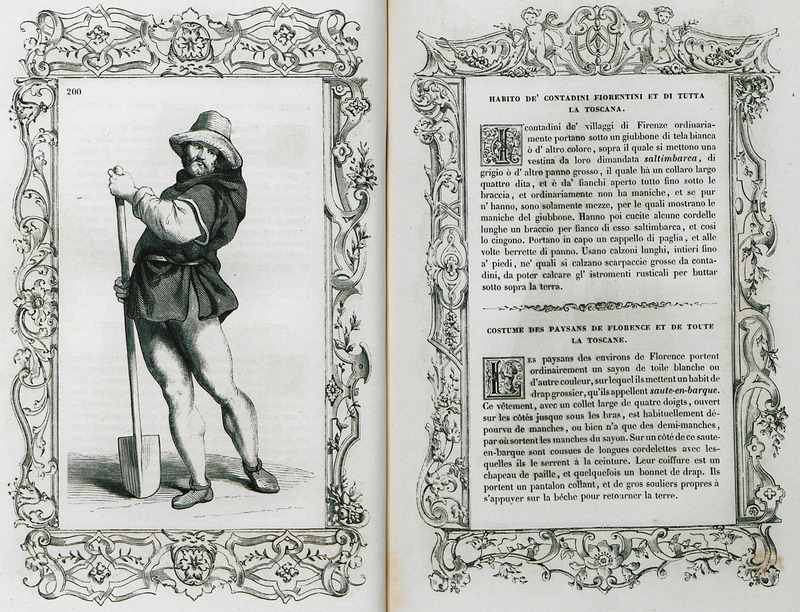 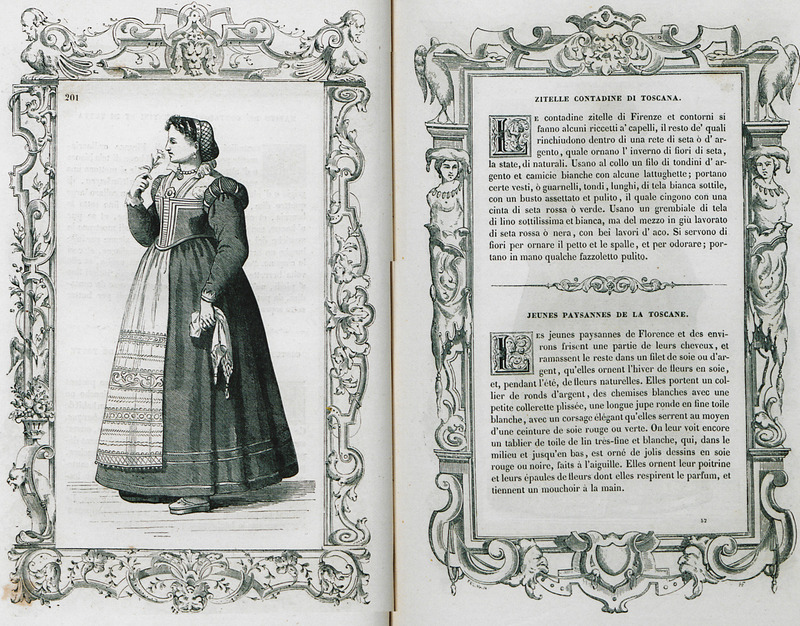 From: Raphäel Jacquemin, Iconographie générale et méthodique du costume du IVe au XIXe siècle (315-1815) [...], Paris, 1863-1869. 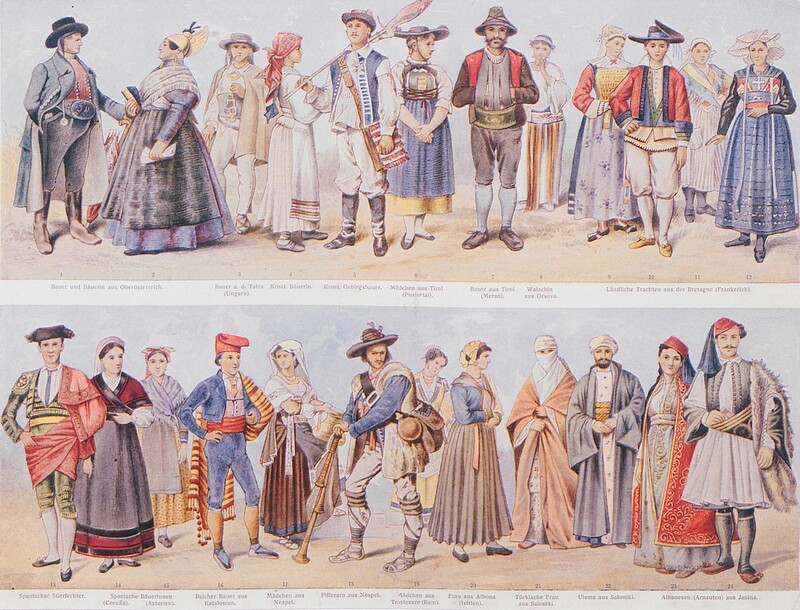 National costumes, mainly of peasants in various parts of Europe, among which a Turkish woman and an ulema from Thessaloniki. 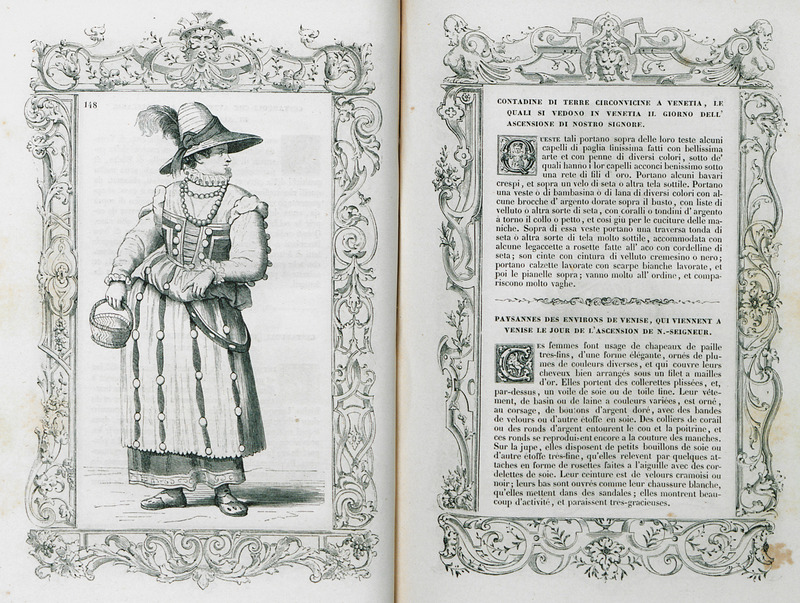 From:Meyers Konversations-Lexikon, Leipsig, late 19th century.